I recently came into possession of a Firebox X550e Core that was thrown out due to a bad power supply. Turns out OpenWRT (or almost any OS for that matter) is pretty easy to install on this thing. Read on for some photos and a how-to. First issue: The dead power supply. Turns out it uses a standard 20-pin ATX power connector and a 4-pin CPU power connector, so almost any PC power supply can run it. Second issue: Installing an OS. The process is fairly simple. Hell, the default firmware even uses GRUB and it has it’s own partition, so I didn’t even have to install a bootloader. Replace the “5” in “sda5” with whatever partition number your data partition has. However, keep it as “sda” since it will be the first storage device on the firebox. Now, go to the x86 packages directory and download the kmod-skge package, which provides support for the onboard ethernet. Stick this package somewhere on the data partition. Now, connect a serial cable to the Firebox and your PC. Use “screen /dev/ttyS0 115200” to communicate over the port (press ^A k y to end the session, or ^A d to detach so you can later reattach by using “screen -r”). Unmount, sync, and eject the CF card. Slide it back into the Firebox’s CF slot and power it on. After a while, you should see GRUB come up over the serial console. Let the system continue to boot. It will hang a couple times for up to 30 seconds a couple times during boot (I suspect this is due to a slow card since the drive activity light is solid during these hangs) (this is solved by adding a kernel option to the bootloader, I have edited the post to reflect this) but eventually it will tell you to press enter to activate the console (pay attention, as you may miss it due to other messages appearing after it). Note that this is not the same as the message about pressing f to enter failsafe mode. The normal OpenWRT console should come up. Lastly, you will most like want to “rm /etc/resolv.conf” and then “ln -s /tmp/resolv.conf.auto /etc/resolv.conf”. This causes the system to directly use the DNS servers provided by your network config (or by DHCP if you’re using it), rather than trying to do everything through it’s own DNS server. Issue a “/etc/init.d/networking restart” after you’ve done your network configuration. Try pinging things to verify your connectivity. If everything works, you can start configuring it over the network rather than over the serial cable, and start using it as a normal OpenWRT device. 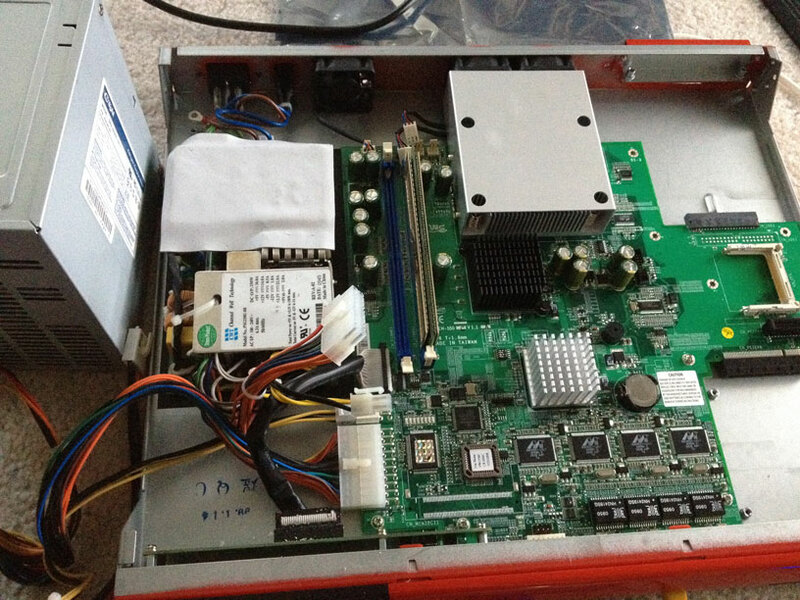 The firebox has 2 DDR2 slots, but I can’t get it to see anything over 1GB of RAM. 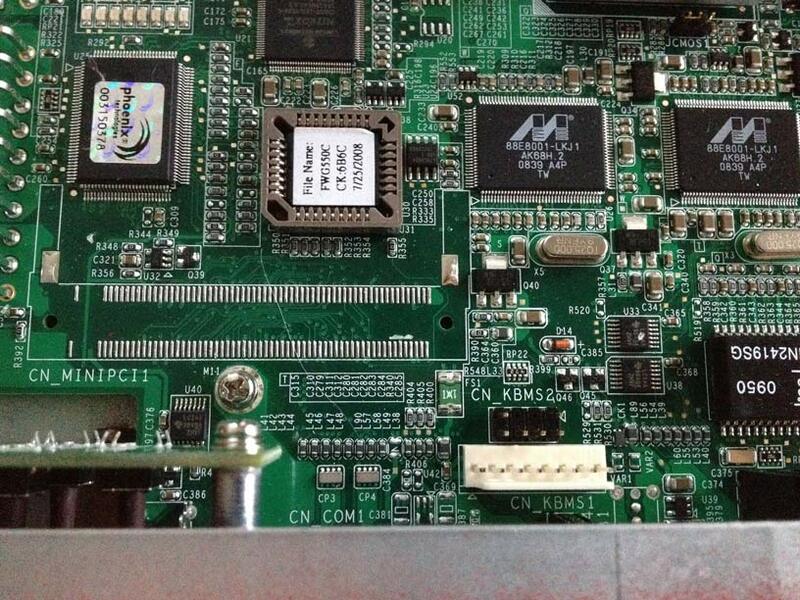 As for ports, it has a keyboard and mouse ports (one of them seems to be a PS/2 port, not sure what the other is). It has a port labeled “CN V A1” which I have no idea about. 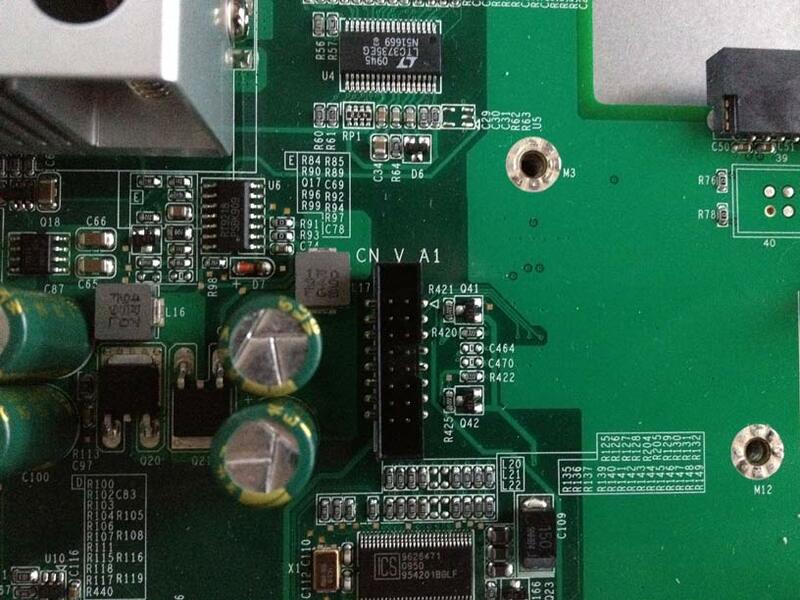 It has solder pads for a mini-PCI slot, a PATA port, 2 USB ports, and another serial port. 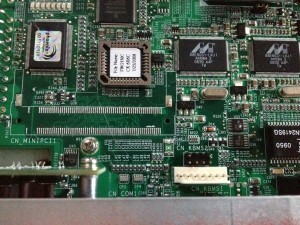 There appears to be some kind of PATA connector on the motherboard although it doesn’t look like any of the normal IDE connectors. 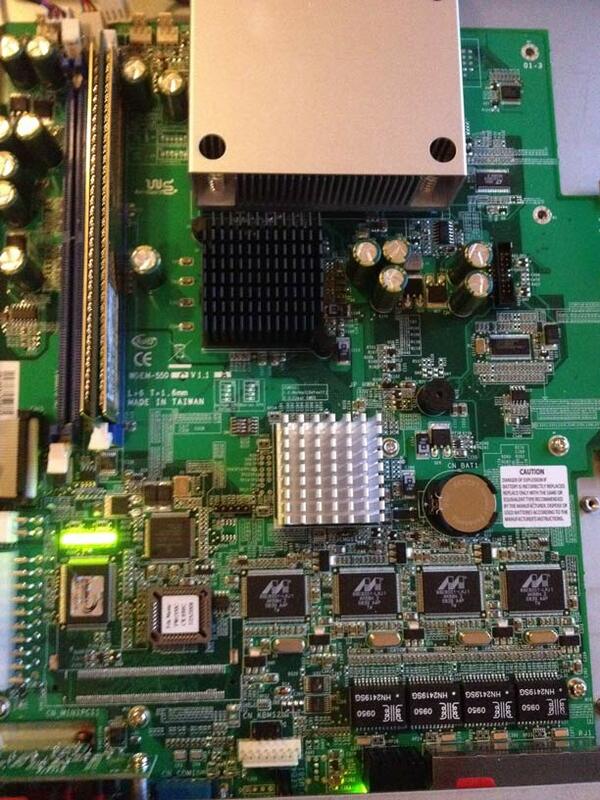 Its has a CF slot, a PCIe x4, and a PCIe x8. 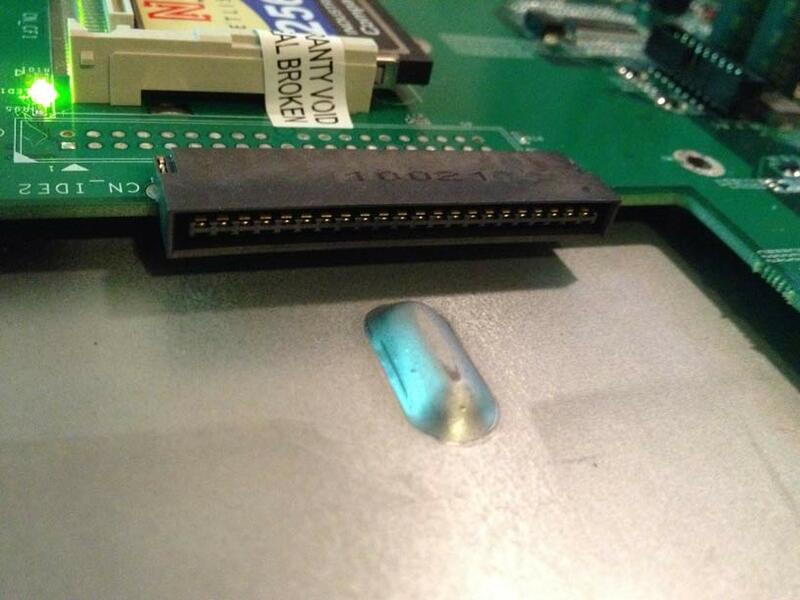 There’s also a JTAG connector, a clear CMOS jumper, and a couple blocks of DIP switches. This entry was posted on Wednesday, July 17th, 2013 at 21:45	and is filed under Uncategorized. You can follow any responses to this entry through the RSS 2.0 feed. You can leave a response, or trackback from your own site. You stated that it would be easy to install almost any OS. So I could install Linux on an old X550e and use it as a server? I suspect that the “CN V A1” is for VGA (“connector video analog 1”), but it’d need an oscilloscope to verify that and check the pinout. If you take the front panel off, a USB port will reveal itself! (after a little case mod it could be used for a LTE modem, additional storage, printer etc.). X550e was the lowest model on these series, the higher-end X750e and X1250e had more parts installed, but the motherboard seems the same. The PCI-e x8 was used for an additional 4x1000BASE-T NIC in X750e and X1250e. 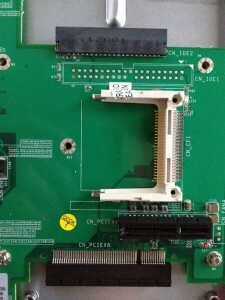 PCIEx4 was meant for some kind of an expansion card (not standard PCIe) inserted into the upper slot on the back panel. The small IDE connector accepted 2.5″ HDDs with an adapter (you can sometimes see that on old laptops) slid into the lower slot on X1250e and maybe even X750e. 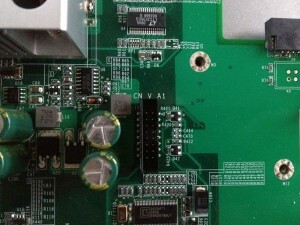 I wonder if both IDE sockets are connected in parallel, so you could use a hot-air station to solder a normal IDE in and drop an old HDD into the box. I was considering looking further into the HDD ports, but because I couldn’t get DMA to work on the CF slot I figured it might not have worked on the proper HDD slots either. 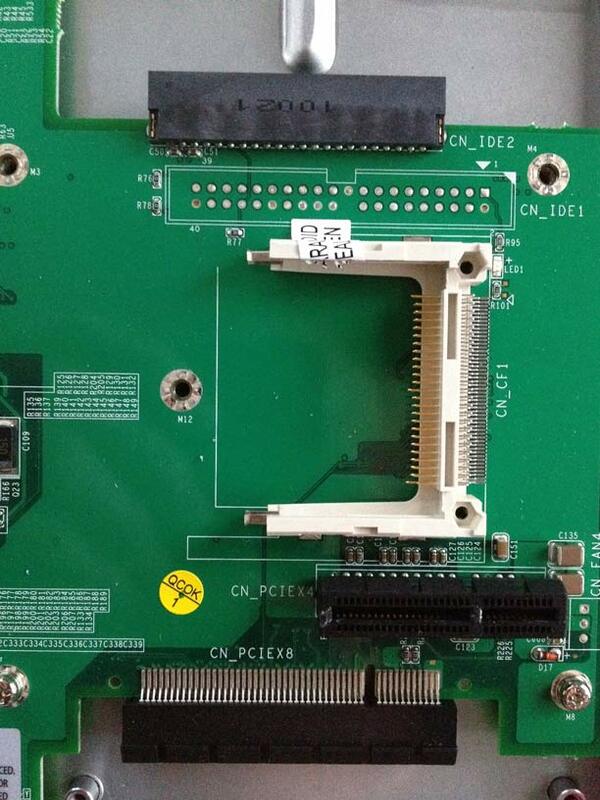 Found this link which contains details of a cable and of the pin out for the CN_V_A1. I googled 16pin VGA and looked at the image search. I’m going to look at my collection of old graphics cards in the loft for the cable, but the provided pin out will mean I can mash something together if I find nothing. Thought it might be helpful. I’ve just finished verifying this with a cut in half VGA cable and an adaptor from the front case cabling from an old computer case (2x USB (10 wires) + LED wiring (8 wires)) that had a perfect fit plastic end. У многих людей стойкая неприязнь к такому общению. Have a look at my web-site; Секс По Телефону В Украине. Thank you for helping out, good information. “If at first you don’t succeed, find out if the loser gets anything.” by Bill Lyon.